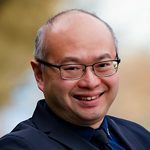 As Executive Associate Dean, Education, Dr. Wong offers strategic leadership, while creating and nurturing existing partnerships to help move the vision for the Faculty of Medicine forward. In addition to overseeing the distribution of the Faculty’s educational programs across the province, he will ensure accreditation standards are met and that our programs — across the health disciplines and across the continuum of learning — are effectively integrated. Dr. Wong brings extensive leadership to this role, having served as the Associate Dean, Postgraduate Medical Education, since 2012. He is also a Clinical Professor in the Division of Geriatric Medicine in the Department of Medicine. Dr. Wong works tirelessly to advance academic and clinical health sciences related to geriatrics, and his work has significant impact on the care for older people in Canada and beyond. He was President of the Canadian Geriatrics Society and founded the state-of-the-art Acute Care for Elders Units (ACE) in Vancouver, which has been implemented nationally and internationally. His clinical research focuses on hospital medicine in vulnerable older adults, including quality improvement in acute care geriatrics. Dr. Wong has published and lectured extensively on geriatric medicine and medical education.